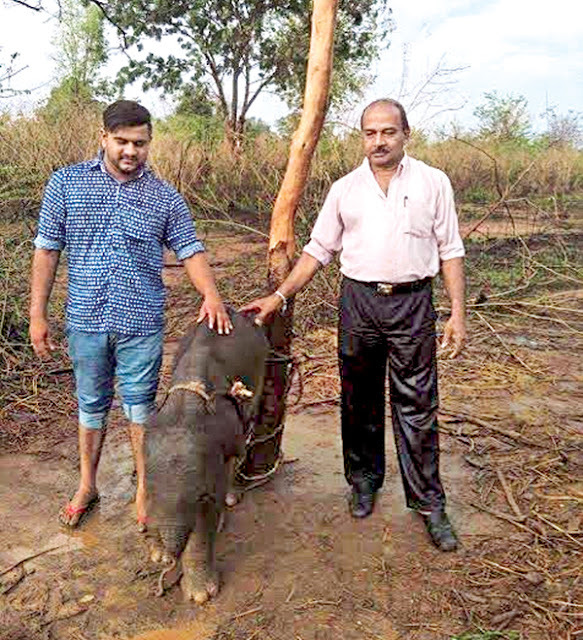 Residents along with Wildlife officials in Hambegamuwa yesterday, rescued a baby elephant which was tied to a tree. 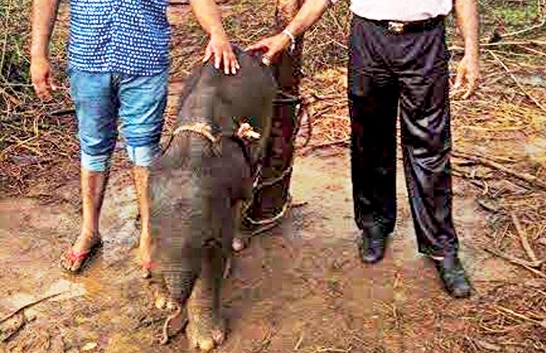 The Wildlife officials arrived at Habegamuwa on information provided by the residents of the area and rescued the baby elephant Hambagamuwa Police yesterday, deployed a team of Police officials to nab those who brought the baby elephant from the forest and tied it to a tree with the objective of transferring it to another area. 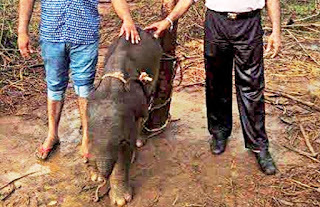 Wildlife officials said the baby elephant would be handed over to the Eth Athurusevana after being examined by veterinary surgeons. The Criminal Investigation Department has also initiated investigations to trace those involved in the incident and their motive.